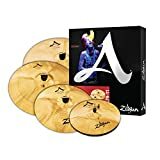 Looking for the best drum gifts in 2018? This list is here to help you find the best drum gifts for any drummer, from great budget ideas to huge gifts that will blow your drummer away. DrumheadAuthority has put together a huge list of the best drum gifts: you’re bound to find the perfect gifts for the drummers in your life. Use the links below to skip to a specific price range, or start scrolling to see everything! These ideas for drum gifts are perfect if you need a drummer’s birthday gift, Christmas gift, anniversary gift, or any other reason. Need Valentines day gifts for drummers? You’ve come to the right place. This list is also great if you’re a drummer yourself, and just want to treat yourself to something new and exciting (you deserve a reward, right!?). Importantly, this is a list made by drummers, for drummers… There’s no junk! Each of these drum gifts have been put under the microscope and thoroughly researched, so you can be sure you’re buying something that is high quality, interesting, and actually useful… We’ve got our finger on the pulse to make sure you’re seeing only the best gifts for drummers. There’s a good mixture of serious gear and drum gadgets, along with a few novelty drum gifts. However, we’ve made sure that even the novelty drum gifts are still actually useful! 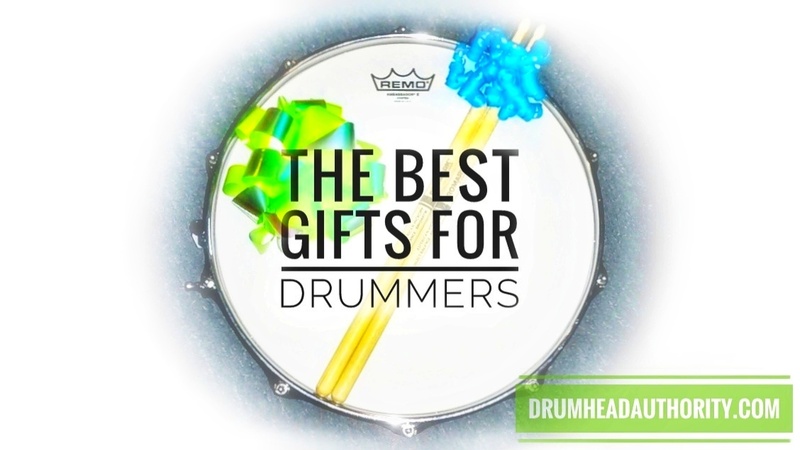 Even if it seems like your drummer has everything, you’ll find a gift for them on this page. If you can’t, we want to know about it. If you’re still looking for gift ideas after checking out the guide below, then take a look at our huge guide covering the best music gifts for musicians and music lovers. Note: All price ranges are in US Dollars. 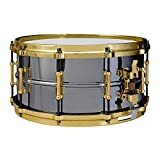 The links below will take you directly to Amazon, where you can see the best prices for each drum gift. So you’re searching for drum gifts and you’re on a budget? No problem! Here are some of the most unique, interesting, and useful gifts for a drummer. 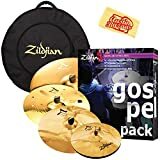 Best of all, these drum gifts cost next to nothing, and everything listed here is stuff that drummers will actually use. Buy one, or combine them to put together a great drum gift pack. Pearl’s PTT13 Drummer’s Multi-Tool is an extremely useful drum gift, and has everything drummers need when it comes to drum tools. Importantly, this has every drummer’s best friend: a drum key, for tuning and setting up. There are also hex (a.k.a. Allen) keys, a number of different screwdrivers, and a bottle opener for that after-show cold beer. Having a multi-tool handy during a show is priceless, because things can break or come loose without notice. 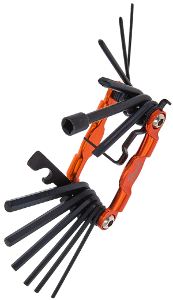 Pearl’s PTT13 Multi-Tool is a top choice, made with high quality alloy and built to last. Pearl is a top brand in the drumming world, and they’ve designed this tool specifically for drummers. 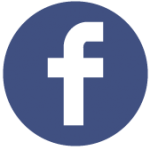 This is the ultimate drummer’s tool, and something every drummer should have in their toolbox…. This makes the Pearl PTT13 one of the best gifts for drummers, and one of the best gadgets for drummers. The Zildjian Drummers Survival Kit is a great gift for drummers, especially if they play live shows. The pack has everything a drummer needs for gigging: A drumhead repair patch, spare snare wire strings, washers, cymbal felts, and sleeves. Felts and sleeves are particularly important for stopping damage from metal-on-metal contact between cymbals and cymbal stands. Sometimes the “house kit” at a show is missing some of these important parts, so it’s an excellent idea to have some handy. Drumheads and snare wire strings are prone to breaking, so don’t let your drummer get caught out. If a snare or bass drum head breaks mid-show, it might be game over. There are a few other Survival Kits out there, but Zildjian’s version is the only one with a drumhead repair patch. Moongel: Strange name, but very useful both live and in the studio. These are small sticky pads that sit on top of a drum or cymbal to control some of the ringing and change the sound. Put one on for a small effect, or add a bunch of them to make some really interesting sounds. Moongels are especially great to get a deep, fat drum tone. They’re better than adding tape to drumheads since there is no sticky residue left behind, and they’re much more versatile. If you buy one gift for your drummer, make it Moongels – these are one of the most popular little items ever, and are used by countless drummers worldwide. They’re covered in our huge drum dampening and drum muffling guide, as one of the best products to change your drum sound. These are a great drum gift idea because they’re something most drummers don’t think about. The bass drum pedal can cause damage to the bass drum hoop, and slide around where it attaches to the hoop. A bass drum hoop protector helps with both of these things. They sit between the hoop and the pedal, providing good protection to the hoop, as well as a grip surface so the pedal can’t slide around. Bass drum hoop protectors are super cheap, making them an excellent budget gift for a drummer, or something extra to add to a bigger gift pack. The only choice you’ll need to make is whether to buy a hoop protector for wooden hoops or metal hoops. If you’re not sure, check where the pedal attaches to the bass drum. For drummers of all levels, a new book can be a wealth of inspiration, and there are some great options available. Two excellent gifts for newer drummers are How To Read Drum Music, and Stick Control. The latter is an absolute classic book, and one of the most well-known in the drumming world. Stick Control is recommended by teachers worldwide as an excellent way to improve coordination, timing, and control… Finishing this book is an achievement in itself. For more advanced drummers, two great books are 1001 Drum Grooves, or Joe Morello’s Master Studies. Both of these drum books have some brilliant exercises that will allow your drummer to enrich their skill set. For the drummer who gets hot and sweaty on stage or in the practice room (who doesn’t? ), a drummer’s towel is a great drum gift. The Zildjian Drum Towel has a convenient hook on the corner, allowing it to be placed anywhere around the drum kit for easy access. As a bonus use, this towel can also be thrown across a drum to muffle the sound. Give the gift of comfort! Drumstick pencils are a novelty drum gift that is actually useful, since they’re something that everyone needs. Your drummer can use them to tap out beat ideas, and then write those beats down, all without missing a beat! Combine these pencils with a music notebook (so they have something to write in) and you’ve got a great and unique gift for drummers at all levels. There are also drumstick pens available! Okay, so some of these things are more novelty drum gifts than serious gear. However, if you’re looking for a gift for a drummer who has everything, or for a drummer who loves to cook, these are perfect! Zildjian Cutting Board: Zildjian – one of the top cymbal brands – also has a great cutting board for the drummer who likes to cook. It’s made of high-quality bamboo, with a groove around the edge to stop liquids spilling off. Perfect for drummers who like cooking up food as much as they like cooking up beats! Drumstick Wooden Spoons: MIX STIX are wooden spoons with one end for cooking, and the other for rocking. Drummers can tap out some beats while waiting for dinner to heat up. They’re made from high-quality solid beechwood, and come in a two pack (because nobody wants just one drumstick). Drummer’s Coffee Mug: For the drummer who needs a good cup of tea or coffee before jumping behind the kit, a mug is a great drum gift. There are a huge range of options available, so you’re sure to find the perfect gift for your drummer. For the drummer that needs a good tea or coffee while drumming, Vater also make a clamp-on drink holder designed to attach to a cymbal stand on stage. Keep hydrated while playing! Cymbal Monkey Salad Tongs: Remember those old wind-up monkeys that played cymbals? Well, this is a much less annoying (and much more useful) version! Great for salads, cymbal monkey tongs are made from polished chrome and are well built. As a bonus, these tongs can also be used to make a little bit of noise when there’s no salad between them! Drumstick Chopsticks: These do exactly what the name says… Drumsticks on one end, chopsticks on the other. The perfect gift for drummers who love noodles, rice, or sushi! They’re made from good quality wood, and they’re bound to be a hit gift for drummers who like to eat. Drumsticks are one of those drum gifts that no drummer can ever have enough of, making them a great gift for a drummer who has everything. There are a range of different options available, which mainly depend on the style of music your drummer plays. For quieter playing (i.e. the best drumsticks for jazz, acoustic rock, etc), buy thinner sticks like 5A, or the even thinner 7A size. If your drummer plays louder styles of music, a 5B stick is the best option. If your drummer is a very hard hitter or is constantly breaking sticks, you can go even larger with a 2B size drumstick. For something really new, ProMark have recently released the FireGrain range of drumsticks, which look really unique and are flame-treated for extra durability. If you want a drum gift that will give your drummer some new sound options, there are also brushes and rods available. Drums are loud… there’s no way around it. Luckily there are some great (and cheap) hearing protection options out there, to ensure your drummer’s ears still work after years of playing. It’s extremely important to protect your hearing behind the drum kit, so some good earplugs are an excellent gift for a drummer. Regular foam earplugs distort sound too much and don’t last long, so buy some hi-fidelity earplugs instead. These are designed to give a more natural sound… As a musician, it’s vital to be able to hear things clearly. There are a lot of cheap options available that do a fairly good job. If you’ve got a few more dollars to spare, take a look at Vibes High-Fidelity Earplugs in the $20+ Drum Gifts section below. Tip: If your drummer likes to play to music while practicing, over-ear ear muffs are a good choice so they can use their regular earphones underneath. Note: if you want to take hearing protection a step further, you can buy in-ear monitors instead of earplugs. In-ear monitors are used by drummers to hear the metronome, to monitor the sound on-stage, and to protect their hearing. 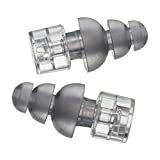 These are more expensive, but are a great investment to save your drummer’s ears. See below in the $80+ drum gifts and $200+ drum gifts sections for some great in-ear monitors. How’s this for a great gift for a drummer: A super cool one-of-a-kind bottle opener made out of a real cymbal! These bottle openers are made by Offer Music, a small USA-based company who designs and produces everything at their shop in Indiana. 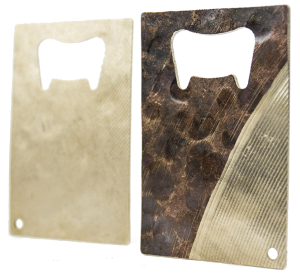 Their recycled cymbal bottle openers are credit-card sized (meaning they’ll fit in your drummer’s wallet), and there are smaller options available too. If you’re looking for a unique drum gift, this is it… Each opener is crafted from an old cymbal, meaning the exact design will never be repeated. In the $20+ drum gifts price range, there are some really great gifts for drummers. All of the stuff below is extremely useful, regardless of your drummer’s style or music preference. There’s nothing worse than arriving at a venue to find there’s no carpet to set up your drum kit on. On wooden or tiled floors, drums will slide around – this is a nightmare to have to deal with mid-song. Luckily there are some great portable drum mats out there which will easily fit in a gig bag. A great option is the Black Widow Anchoring Drum Mat, which is more than just a basic mat. The Black Widow is the perfect shape to spread out a kit, and it comes with anchoring velcro strips to mark and attach pedals. 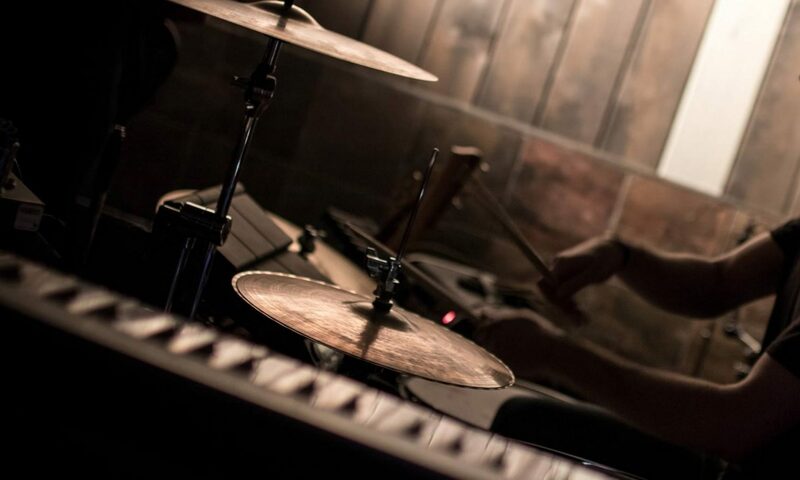 Your drummer can mark out their perfect setup, and then quickly have everything in that exact position, every time. For a more basic rectangular mat, take a look at the OnStage DrumFire Mat, which is 6×4 feet in size, folds easily, and is made from non-slip material. 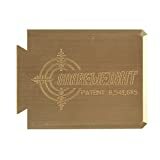 This is a great drum gift if your drummer performs, or if they need a mat for their practice setup. The Big Fat Snare Drum is a brilliant device for getting a beefy, fat, and deep sounding snare drum, without needing to retune the drum. They sit on top of the snare drum, removing high-pitched ringing and adding a great tone. There are a few different options available… The Original Big Fat Snare Drum, which gives the most dramatic change in sound. Steve’s Donut is a more versatile choice, and the best drum gift option – this one gives a less extreme change in drum sound and is much more usable across a wide range of music styles. There’s also the Snare-Bourine, which is a Big Fat Snare Drum with tambourine jingles attached, to give a nice jingle to each snare hit. Combo packs are also available if you can’t decide on just one! These are great both live and in the studio, and are designed to be super easy to add and remove between tracks, or even mid-song. Vibes are hearing protection earplugs designed specifically for live music, cutting the volume quite evenly across the sound spectrum. These earplugs give you a much more accurate sound representation compared to cheaper options out there, while also reducing the volume and saving your ears. As a musician, this is great: it’s extremely important to protect your hearing, but you also need to keep an accurate idea of your own sound. As we’ve said above, hearing protection is one of the best gifts to give a drummer, and Vibes are made specifically for live and loud music. For the price range, Vibes High-Fidelity Earplugs are excellent. These earplugs give an average 22 decibel reduction, which is a great balance that protects hearing but still keeps things lively. Behind the drum kit, the sound is accurate and enjoyable across the low, mid, and into the higher frequency range (with a slight cut to the highest frequencies). Unlike a lot of other earplugs out there, the sound isn’t muffled or lifeless. As well as the earplugs, Vibes comes with a pocket-sized hard case, and three different interchangeable earplug sizes in the box (small, medium, and large). Vibes gives the perfect amount of hearing protection for playing drums or watching a concert, and these things a great drum gift on their own, or as a stocking-stuffer to go with something else. As a little bonus, Vibes gives part of the sale to the Hear The World Foundation. This means you’ll be giving a gift to your drummer, and also to someone else in need of some hearing help. For very quiet styles of music (i.e. the best drumheads for softer jazz, acoustic rock, etc), go for a Remo Diplomat. For moderate volume music (i.e. the best drumheads for rock, dance, funk, etc), get an Evans G1 or Remo Ambassador. For drummers playing hard and loud (i.e. the best drumheads for metal, punk, etc), go for a thicker and more durable drumhead, like the Aquarian Triple Threat, or the Evans Heavyweight. Tip: Add a pack of Moongel along with your drumhead gift… Moongels are a great way to control the ringing and tone of the drumhead, giving your drummer much more versatility with their sound. The drumheads above are a little more “open” sounding – this makes them more versatile, especially when combined with Moongel. 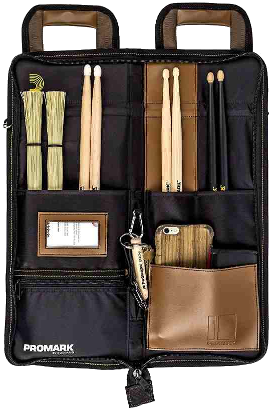 Every drummer needs a drumstick bag. They may already have one, but if it’s looking a little worse for wear then a new one is a great drum gift idea. 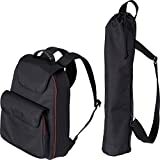 Without a doubt, the best drumstick bag out there is the ProMark Transport Deluxe Drumstick Bag (drummers: find something better? get in touch!). This Texas-based company has really hit the mark -The Transport Deluxe comes with some great extra features that show ProMark understand what drummers want. As well as plenty of space for drumsticks, brushes, and mallets, there are: Easy access pockets (for storing your phone, wallet, and keys while playing); adjustable shoulder strap (extremely useful when carrying drum gear); retractable hooks for mounting the bag to the floor tom; a built-in carabiner clip to clip a drum key, torch, etc; and much more. On top of this, it’s a great looking and well-made stick bag. As well as simply keeping the dust off, drum kit dust covers are great for drummers to protect their kit at a live show, especially between sound-check and the performance. These covers are specifically designed for drum kits, and have weighted corners to ensure they stay put. These are a great gift for a drummer, no matter whether they keeps their drum kit at home, in the rehearsal room, or set up in different venues each week. A cymbal bag is essential when moving a drum kit around, both to make life easier and to protect the cymbals from damage. A good quality cymbal bag is a great drum gift for drummers travelling to rehearsals, shows, or the recording studio. Buy a bag with both a carry handle and back straps, so it can be worn like a backpack (leaving hands free for other gear). Also be sure to get a bag with built-in dividers, so cymbals don’t rub against each other during transport. A great cymbal bag (with all of the above features) is the Meinl MCB-22 Cymbal Bag. If backpack straps aren’t needed, an excellent choice is the Protec Deluxe 24″ Cymbal Bag. This bag comes with extra storage pockets, padded shoulder strap, metal hardware, and 6 separator pockets. Note: If your drummer plays a LOT of shows, a hard cymbal case may be a better option – these provide better protection for cymbals. See below in the $130+ drum gifts section. These cymbal clocks are made from real Zildjian cymbals, and are battery powered and wall-mountable. The Zildjian Cymbal Clock is an excellent drum gift for a music room, dorm, or bedroom… Your drummer will never be off time again! This is something unique to hang on the wall, and best of all it doesn’t cost a fortune. 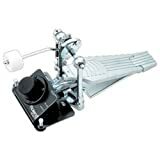 For the price, the Pearl P930 Bass Drum Pedal is one of the best pedals out there, making it an excellent drum gift if your drummer is using and old or cheap pedal. This bass drum pedal is extremely versatile, with some great features that make it stand out from the pack. There are interchangeable cams, an adjustable footboard, dual surface beater, frictionless roller, and a lot more. To top it off, the build quality is great and it feels extremely smooth under your foot. The Pearl P930 packs a punch, and is sure to be a great drum gift. In fact, this pedal won best bass drum pedal under $100 in our huge best bass drum pedal article. That’s how great we think it is! A good quality snare drum bag is a must for a drummer moving between gigs, rehearsals, and recording. Even when a “house kit” is provided, drummers will bring their own snare drum to use. Luckily, a good bag doesn’t cost a fortune, which makes this a great gift for a drummer. The ChromaCast CC 14 Pro Bag is a great snare drum bag, with an extra pocket to store sticks, music books and a spare drumhead. It’s well built, with quality materials and good padding to protect the drum inside. The Snareweight is an amazing little device that reduces ringing and creates a fatter, warmer snare drum sound. It sits on top of the drum, and is very easy to install and remove. As well as sounding good, these things are designed to look good – this San Francisco company has prioritized sound, design, looks, and quality. The leather M80 Snareweight has 4 different settings to give a huge range of snare sound options. The M80 is well designed, with magnets that snap through each setting and a clip that securely attaches to the drum hoop. At the most minimal setting, it gives a little control to the sound (reducing the ringing, and making the drum a little deeper-sounding). At the most extreme, it cuts ringing and overtones, to give a deeper, fatter sound. 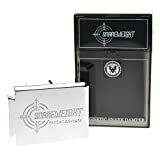 There’s also a different Snareweight version, called the Snareweight #5, which is a heavy piece of metal that sits on the snare drum. This version gives a more dramatic sound change, reigning in higher frequencies and evening out the overall tone. Both the M80 and Snareweight #5 give a little bounce after each hit, allowing the drum to speak before the weight comes down to control the sound. The Snareweight is an excellent secret weapon for drummers, to achieve a great snare sound with ease. If you need a gift for a drummer who has everything, this is a great choice! If you’re not sure which one to get, go with the Snareweight M80 – this one is the most versatile. In the $80+ price range, you’ll find some amazing gifts for drummers. This section has some really useful drum gear, and some unique equipment that your drummer probably doesn’t have. The drum gifts here are perfect to help your drummer stay organized, carry their gear, or take their instrument to the next level. If your drummer plays a lot of shows, they know the pain of needing 10 hands to carry everything in and out of a venue. Each drum usually has its own case, however Pro Tec have created a great bag that can carry up to 4 drums at once. This saves time, space, and makes moving a drum kit around so much easier. For a standard sized kit, there is room for 3 drums. If your drummer has a smaller kit, they should easily fit 4 drums in this bag. Importantly, there are built-in padded spacers to protect each drum. There’s also a large pocket for storing tom legs or other pieces of hardware, and tightening straps to make sure everything stays secured. However, by far the best feature of the Pro Tec Multi-Tom bag is the built-in wheels, which makes transportation a breeze. All drummers need to be able to play with a metronome, both in the studio and live. Don’t let your drummer’s first real metronome experience be when they’re trying to record in a studio… Countless drummers have given terrible performances after the studio engineer hands them headphones with a metronome track. To build speed, accuracy, and good timing, it’s essential to start using a metronome early on. Luckily there are some great gift options available that are specifically designed for drummers. The Tama Rhythm Watch RM200 is an excellent drum metronome choice. It comes with a huge range of great features like headphone output, programmable tempo changes, non-standard time signatures, tap tempo, and some optional features like AC power supply and drum kit mount. For the price, this is an amazing piece of equipment and will give your drummer everything they need to succeed. A step up from the Tama RM200 (in both features and price) is the Boss DB-90 metronome. This metronome comes with the same features listed above for the Tama Rhythm Watch, plus a LOT more. The DB-90 has trigger, MIDI, and instrument inputs, a rhythm coach feature, built-in microphone, play-along drum beats, and a whole lot more. This is the ultimate metronome for a drummer, and the perfect drum gift. The Tune-bot is the perfect gift for a beginner or intermediate drummer. Tuning drums can be one of the most difficult things to do, and the Tune-bot is a great tool to help with this. If your drummer is struggling to tune, this is the answer: It will give them less time tuning, and more time actually playing. It measures (and remembers) the tuning of the drum, and allows drums to be tuned to specific notes. Tuning settings can be saved, ensuring your drummer can quickly get back to their perfect sound whenever they need to. To top it off, Tune-bot give the tuning settings for some world-class drummers on their website. Give the gift of a perfect sounding drum kit! For more info, check out our Tune-bot drum tuner review. Drum hardware (cymbal and hi-hat stands, snare stand, pedals, seat, etc.) can weigh a ton… Carrying this gear in and out of shows and rehearsals is one of the worst parts of being a drummer. It’s important to have a good quality hardware bag – especially to take the pressure off your back and arms. These are a great drum gift, and will be really appreciated if your drummer has ever had to lug around their own gear. With a hardware bag, it’s important to get something tough and easy to move… Get one with wheels and carry handles. For a drummer with a smaller to medium sized setup, the Pro Tec CP205WL 36″ bag is a perfect drum gift. This bag is big enough to handle up to 5 stands, a throne, pedals, and more. If your drummer has a BIG setup (5+ cymbals), the Kaces KPHD46W 46″ bag is an excellent choice. This monster bag is big enough to fit almost anything you can throw at it, and is built to last. Both of these bags have wheels and tough carry handles to make moving drum gear as easy as possible. 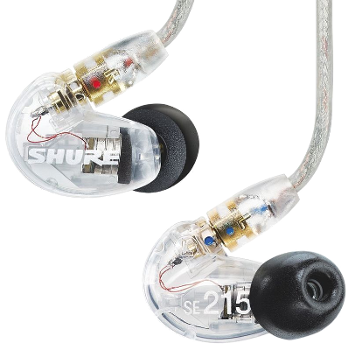 The Shure SE215 isolating in-ear monitors are a hugely popular monitoring option for musicians. In-ear monitors are earphones designed for performers, allowing you to listen to a metronome, an on-stage mix, electronic pads, or anything else while playing or practicing. This is one of the best gifts for a drummer regardless of whether they practice at home to music or a metronome, or spend each week on stage performing. Importantly, these in-ear monitors also greatly reduce outside noise (like drums and guitars), which will protect your hearing. Drum kits are loud, so this is extremely important. As well as having great sound, the SE215 has a replaceable cable… This is an excellent feature, since the cable is usually the first thing to break on any set of earphones. Shure is a Chicago USA-based company, highly respected in the industry, and these are quality monitors built to last. As a bonus, the Shure SE215 can also be used as regular earphones, allowing your drummer to listen to music on the go. Note: It’s important to get isolating earphones (like the Shure SE215) for loud environments. Regular earbuds don’t protect your hearing from a loud drum kit, meaning you have to turn them up far too loud to hear anything… This, combined with a loud drum kit, is a recipe for hearing loss disaster. It’s critical to use good quality hearing protection: This makes Shure’s SE215 monitors one of those drum gifts that are extremely practical, useful, and important. In the $130+ price range, we’ve got some absolute top gifts for drummers. These drum gifts have been hand-picked based on their quality, usefulness, and all-around awesomeness. For the ultimate in cymbal protection, the Zildjian Rolling Cymbal Vault is hard to beat. A good collection of cymbals can cost a small fortune, so it’s critical to keep them from damage. If your drummer does a lot of shows or touring, a hardcase like this is a much a better option than a soft cymbal bag. Hardcases offer more protection for cymbals, ensuring they won’t get damaged during transportation. The Zildjian Rolling Cymbal Vault hardcase can store cymbals up to 24″ in diameter, and comes with a strong pull-out handle and wheels to make transport easy. Importantly, this case is designed with protection in mind… It’s made from very solid material, and has foam cymbal dividers to ensure your cymbals stay in pristine condition. The Alesis SamplePad 4 is a great electronic drum pad for drummers wanting to experiment. 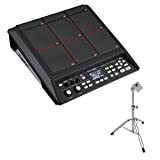 This instrument has 4 dual-trigger drum pads, allowing drummers to play the built-in drum kits or load their own samples. Added to an acoustic kit, the SamplePad 4 gives an endless range of new sounds and ideas. This device can also be used as an ultra-portable electronic drum kit. It comes with a dual-trigger input, allowing up to two extra pads to be connected (e.g. a bass drum and snare). Loading your own samples is quick and easy via USB, and everything is stored on an SD card. There is on-board tuning and reverb effects, headphone output, and two separate volume controls. This is a great drum gift to allow your drummer to add some variety to their sound. There’s also an 8-pad version, called the SamplePad Pro. Note: If you buy the SamplePad 4, you may want to get an SD card to go with it, to allow your drummer to load their own sounds onto the SamplePad. A good adjustable drum throne (seat) is essential to avoid back pain and leg problems while playing. The Roc-N-Soc Nitro Throne is one of the best thrones available, with some great features at a great price. Importantly, this drum throne is one of the easiest to adjust, with a quick-pull leaver. The seat is extremely comfortable, and the gas shock absorber gives a little bounce which makes long-term playing much easier. Roc-N-Soc is a great brand that builds very solid gear. A cheap drum stool can cause leg, back, or buttock pain, and can be difficult to adjust for good posture. It’s important to have a high quality throne, especially when sitting behind the drum kit for long stretches. Your drummer will the thrilled to receive this as a gift! The Korg Volca Beats is an analogue drum machine that allows you to program a huge variety of drum beats. This is an amazing little machine that can be used alongside an acoustic drum kit, or on its own. It can sequence and record patterns, and has a great range of sound manipulation features that can be used live. As well as programming beats, the Korg Volca Beats can be played by simply tapping on each instrument with fingers. The Korg Volca Beats is a joy to use, with a huge range of knobs and buttons to create some really unique percussion sounds. It also features more traditional drum sounds and samples. This is a new version of a classic electronic instrument, and is bound to give your drummer a whole new world of musical ideas. As well as an analogue sound module, it comes with on-board PCM sounds that can also be manipulated and distorted. The Korg Volca Beats works with both batteries and AC power, making it a great portable drum machine that can be used anywhere. This is a great drum gift that will give your drummer a huge new range of musical options to use at home, live, and in the recording studio… This makes the Volca Beats is a great gift for a drummer who has everything. Tip: The Korg Volca Sample is featured in our best music gifts for musicians guide. This is similar to the Volca Beats, but with the added ability to use your own sounds and samples. We’re reaching the price range where you’re really looking for the absolute best gifts for drummers. Everything below is certain to put a big smile on your drummers face… We’ve covered some great-sounding and great-looking gear, and some drum gifts that will really help your drummer improve their skills. The Roland Rhythm Coach is the ultimate electronic practice pad. While the Rhythm Coach is great for all drummers, this gift is especially suited to a marching drummer or drum corps drummer, to allow them to perfect their rudiments, accuracy, and speed. There are two models, the Roland RMP-5 and the RMP-12. Both of these models come with some great features including a built-in rhythm coach and time checker, allowing drummers to perfect their sticking patterns, timing, and accuracy. Both models are also expandable (with a dual-trigger input), allowing the Rhythm Coach to be turned in to a miniature portable drum kit. They have mesh drum pads, allowing quiet practice, headphone output, and run on both battery and AC power. Compared to the RMP-5, the Roland RMP-12 comes with some extra features for really serious drummers. There are more on-board sounds, a marching-drum carrier mount, and a live mode. The drum pad on the RMP-12 is larger (12 inches vs. the 8 inch RMP-5 pad), and the pad is dual trigger (compared to the single trigger RMP-5). There’s quite a big price difference between these two models, and both are excellent drum gift choices. If your drummer is going to music college or is serious about their playing, the extra features of the RMP-12 might be worth it. Otherwise the RMP-5 is a very solid drum gift. The great features means that the Roland RMP Rhythm Coach is one of the best gifts for drummers of any skill level, to take their playing to a new level. Drumlite drum kit lights look amazing on stage, and make an excellent gift for a drummer who performs. Drumlite packs contain everything you need to turn any drum kit into a complete visual experience, and (importantly!) they don’t require any drilling, soldering, or cutting into the drums. Lights can be set to fade, flash, or change between 8 different colours, and the pack comes with a control box and wireless remote. These look amazing on clear drums, but are also designed to be used on solid wood kits – a strong glow will come from the top and bottom of each drum. These light kits are expandable and have some amazing add-ons, like triggering lights when drums are hit, or connecting them to professional DMX stage lighting controllers. This is an amazing drum gift that will help your drummer (and their band!) stand out on stage. Westone UM Pro30 isolating in-ear monitors give top-quality sound and excellent isolation, to allow musicians to clearly hear everything on stage. These are professional-level in-ear monitors, with three separate drivers (or “speakers”) in each earpiece, to accurately produce sound across all frequencies. These will allow your drummer to hear the on-stage mix, electronic pads, their metronome, or anything else while performing, recording, or practicing. Importantly, these in-ear monitors also greatly reduce outside noise (like drums and guitars), which will protect your hearing. The Westone UM Pro30 also has a replaceable cable, ensuring that any accident with the cable won’t render these earphones useless. As a bonus, the Westone UM Pro30 can also be used as regular earphones, so your drummer can listen to music on the go… They’re perfect for travel and airplane use, since they cut outside noise and give a wonderful listening experience. These in-ear monitors sound amazing, and are sure to be a hit gift for any drummer. Note: It’s important to get isolating earphones (like the Westone UM Pro30) for loud environments. Regular earbuds don’t protect your hearing from a loud drum kit, meaning you have to turn them up far too loud to hear anything… This, combined with a loud drum kit, is a recipe for hearing loss disaster. It’s critical to use good quality hearing protection: This makes Westone’s Pro30 monitors one of those drum gifts that are extremely practical, useful, and important. 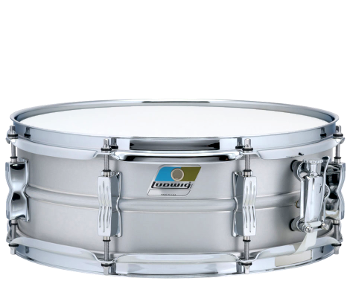 The Ludwig Acrolite snare is a classic affordable snare drum, and is the little brother of one of the most recorded drums in history – the Ludwig Supraphonic. For a drummer looking to upgrade their snare drum, the Acrolite is a great choice: versatile, affordable, responsive, and very high-quality. Based in Chicago, Ludwig is one of the best brands in drums, and the Acrolite is one of the most popular choices for drummers of all levels. The Acrolite has been around for over 50 years, and is firmly cemented in drum history as a great snare drum, regardless of the music style you play. This is a go-to snare drum even for professionals, making this one of the best gifts for drummers of all skill levels. This gift is sure to put a smile on your drummer’s face, especially if they’re using a cheaper or “stock” snare drum that came with their drum set. If your drummer is using older (or cheaper) hardware, an upgrade pack is an excellent drum gift idea. Drum hardware means cymbal stands, hi-hat stand, pedals, and snare stand. Old hardware can be difficult to adjust, and can be unreliable… A new set of hardware will make practicing, gigging, and recording much more comfortable. One of the best hardware packs is the Gibraltar 5700 Hardware Package. Gibraltar is a trusted name, and the hardware in this pack is built to last. It comes with two cymbal stands, a hi-hat stand, snare stand, and quality bass drum pedal. 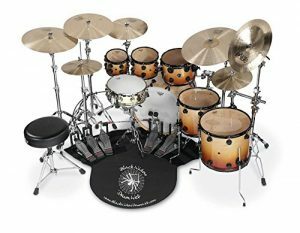 For a drummer that does a lot of live performances, the DW 6000 Series Ultralight Hardware Package is the perfect gift. This drum hardware is designed to be extremely light, while still being strong enough to last. When you’re constantly carrying your drum gear in and out of venues, this is priceless… Hardware bags are usually the heaviest piece of drum gear, and they can do some real damage if not handled properly. The DW 6000 Ultralight pack comes with two cymbal stands, a hi-hat stand, snare stand, and a well-made bag to fit everything in. The gifts for drummers below are the absolute best-of-the-best. This is stuff that professional drummers use, and it’s all absolutely superb sounding drum gear. Any of these drum gifts will be a massive hit, and something that your drummer will keep and use across their entire drumming life. The Roland SPD-SX is the top-of-the-line electronic drum pad, used by countless professional drummers worldwide. This is one of the best gadgets for drummers available, and it’s among the top drum gifts money can buy. Roland is one of the best brands out there, and this is their flagship product… If your drummer is interested in adding some extra spice to their sound, this is a drum gift that will blow them away. This device can be combined with an acoustic drum kit, or used on its own… Either way the possibilities are endless, which makes the SPD-SX one of the best gifts for drummers of any style. The Roland SPD-SX has 9 electronic pads that can be used to trigger a huge range of sounds and samples. It comes with a good selection of high quality drum and percussion sounds. Where this drum pad really shines, however, is allowing drummers to load their own sounds – the SPD-SX has a huge 4GB of internal memory for this. Drummers can load samples via USB, or even record sounds directly to the unit (which cuts out the need for a computer). There’s also a huge range of on-board effects (which can be manipulated in real-time: great for live performances), a built-in metronome, headphone output, MIDI in and out, and a lot more. The SPD-SX was clearly built with live playing in mind. The unit has red light strips around each pad, which make it easy to see on stage. The menu system is easy to use, and overall it’s a joy to work with. As well as being a great live tool, this drum gift is the perfect tool for practicing. The SPD-SX can be expanded with other pads (e.g. a bass drum and snare pad) to make a super-realistic (and super quiet) small practice setup – great for apartments, if you’re worried about disturbing the neighbours. The built-in metronome and headphone output gives your drummer the ability to work on perfecting their drum skills anywhere, any time. If you’re looking for the ultimate drum gift, you can’t go wrong with the Roland SPD-SX. Do you want to take things a step further? You can also buy a stand, bass drum pad, mesh snare pad and carry case, to build one of the most memorable drum gifts ever… Your drummer’s birthday, Christmas, and holidays will all come at once when they open this gift! If you like the SPD-SX but you’re really looking for unique drum gifts, Roland have released a red version of the SPD-SX late in 2017. This has all of the same features as the regular version, plus more onboard memory (16GB compared to 4GB), and it also comes bundled with Ableton Live Lite (for recording and editing samples). We covered this new version in our drum news section, you can read more about the red SPD-SX here. Upgrading your cymbals to a professional-quality set will make a huge difference to your overall drum sound. A good cymbal pack is therefore the perfect drum gift, and Zildjian has some great top-quality options. Best of all, each cymbal is specifically matched to work with the others. 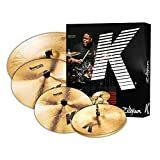 Two of the best cymbal packs contain Zildjian K and Zildjian A Custom cymbals. These cymbal ranges are used by countless professional drummers, both live and in the studio. When choosing which one to give as a gift for a drummer, you just have one question to ask: What style of music do they play? If the answer is soft or moderate volume music, go with the Zildjian K cymbal pack. These are darker sounding cymbals that give a lot of subtle character to low and medium volume performances. 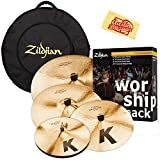 If, however, your drummer plays medium or high volume music, the Zildjian A Custom cymbal pack will be a perfect drum gift. These cymbals are brighter and are designed to project more, so they’ll be heard even in a very loud environment. 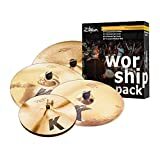 There are also cymbal packs specifically designed for Gospel drumming and Worship drumming – for the drummer that plays this kind of music, these are excellent tailor-made drum gifts. Each cymbal in these packs is hand picked to fit the style, and they’re all based on the professional K and A Custom range. Both of these packs also come with a bonus cymbal carry bag. Good quality cymbals will last a lifetime if they’re taken care of, which makes these packs one of the best gifts for a drummer, no matter what style of music they play. If you ask any drummer to list their most-wanted snare drums, the Ludwig Black Beauty is almost certain to be on that list. This is one of the most revered snare drums ever made, and it comes from one of the most respected brands in drumming. The Ludwig Black Beauty is easily one of the best snare drums in the world, and it’s made in the USA by the Chicago-based company. First up (and most importantly), the Black Beauty sounds absolutely amazing, and has a huge tuning range to fit perfectly with any style of music. These snare drums also look impeccable, with top-quality craftsmanship and only the best parts across the board. The snare drum is the most central (and most important) drum, so it’s critical to have one that sounds great. As far as drum gifts go, the Ludwig Black Beauty snare drum is one of the absolute best gifts for a drummer out there. The Black Beauty has some different sizes available. The two most common sizes are 14″ x 5″ and 14″ x 6.5″ – this refers to the diameter and depth of the drum. If your drummer plays softer to moderate volume music (jazz, r&b, hip hop, drum n bass), the 14″ x 5″ Black Beauty is a good choice. If your drummer plays rock, blues, pop, country, or anything medium or higher in volume, the 14″ x 6.5″ Black Beauty is the best option. If you’re unsure, go with the 14″ x 6.5″ drum – these are highly versatile and have an amazing sound, no matter whether they’re tuned up really high, or down low. The Ludwig Black Beauty is a drum gift guaranteed to put a huge smile on any drummer’s face, both when they receive it, and then every time they hit it… This is the gift that will keep on giving for years to come. The Black Beauty is one of the absolute best gifts for drummers, ever. Our huge guide covering the best music gifts for musicians and music lovers… This is the absolute best stuff for everyone who loves music, not just drummers. Our review of Zildjian L80 & Gen16 Low Volume Cymbals – perfect for when you need to keep the noise down (also, see here for even more tips to reduce drum volume). Our review page of the best bass drum pedals for beginner, intermediate, and spare-no-expense drummers. The Pearl P930 (listed as a top drum gift above) actually won our award for best beginner bass drum pedal under $100! Our guide to the best bass drum beaters – changing your beater is the fastest way to change your bass drum sound, making these a great little drum gift. Practice drum pads and electronic drum pads: great for low volume drumming and for improving your skills when you can’t use a real drum kit. Found any other ideas for drum gifts out there? Want to let us know what you got for your drummer’s birthday gift or Christmas gift? If you find great gifts for drummers that fit this list, get in touch!